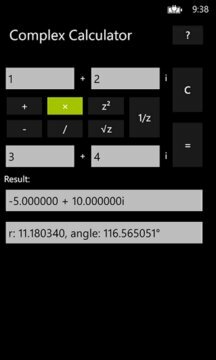 This app is a simple calculator that uses complex numbers. You can add, subtract, multiply, divide complex numbers. 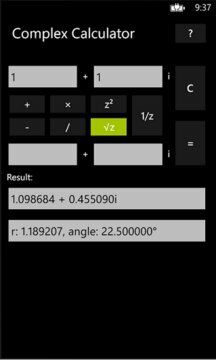 You can also calculate 1/z, square root, and the square of the complex number.